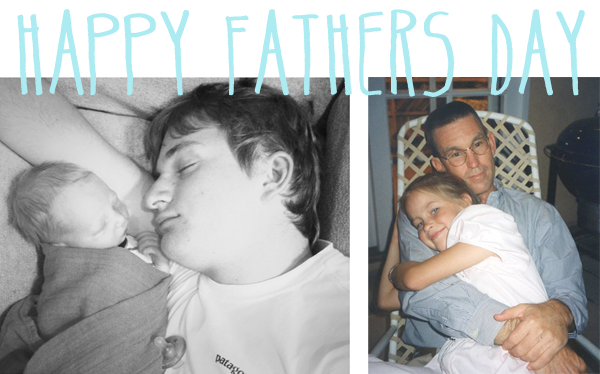 today, i'm pretty grateful for fathers. i'm grateful for my dad who taught me so much in the short time we had together. who showed me how important and positive attitude & sense of humor are & the importance of family & sticking together. i'm grateful for austins father who showed him what a great dad is & that austin was able to learn from him & taught him to be the man he is today. & i'm extremely grateful for austy. it was austins first time getting to really celebrate fathers day. it hasn't even been 2 weeks since he became an official dad, but it's been amazing watching him with cedar. he's such a good dad & he is so incredibly helpful. he really amazes me. he is so great with cedar, & it's so cute to watch them together. they're already bff's & it's adorable. i love it. i am so, so grateful to have him in my life & that he is going to be our kids dad. yes, you were lucky to have such a great dad...he loved you soooo much! and austin is turning into a fantastic father!! 2 weeks down and counting! beautiful. love the look on your dads face. he sure did love you. looks like austin will be just as wonderful as a dad!